Just eight percent of the nearly 5,000 different types of minerals currently found on Earth were present on or near the planet’s surface when life first originated, according to new research published in the latest edition of the American Journal of Science. According to researchers from the Carnegie Institution for Science, life came about as a result of natural processes that took advantage of raw materials available during the early days of Earth. Scientific models of the origins of life typically view minerals as the catalysts behind such essential tasks as synthesizing molecular building blocks or supplying metabolic energy. However, according to Carnegie’s Robert Hazen, this notion is based on the assumption that the types of minerals that exist today are largely the same ones that were present during the Hadean Eon the period encompassing the Earth’s first 550 million years, when life first emerged. Hazen and his colleagues analyzed Hadean mineralogy, finding that no more than 420 minerals would have been at or near the surface at that time. 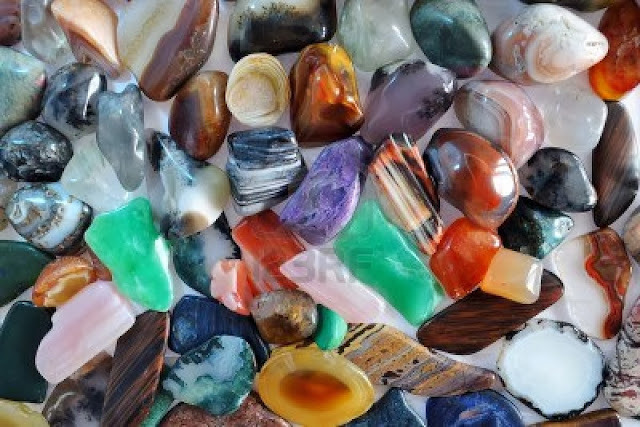 In contrast to the Hadean minerals, thousands of those in existence today are the direct result of growth by living organisms for example, from shells, bones, and chemical byproducts such as oxygen from photosynthesis. Furthermore, hundreds of minerals that consist in part of lithium, beryllium and other relatively rare elements apparently took at least one billion years to first appear, as it is exceedingly difficult to concentrate those substances sufficiently to create new minerals. Thus, they would not have been present when life originated. Clay minerals, however, were available, as were sulfide minerals (including reactive iron and nickel varieties). Some theories suggest that the former can trigger interesting chemical reactions, while the later would have been able to catalyze organic reactions. Borate and molybdate minerals, however, were most likely not present during the Hadean Eon, thus casting doubts on origin models that are reliant upon minerals in those groups. As a result of those impacts, extensive fracture zones could have formed, and likely would have been filled by hot circulating water. Those regions could have created areas where many exotic minerals were present. In addition, Hazen’s study questions how other planets and moons might have evolved mineralogically. For example, he said that Mars likely only progressed as far as our planet’s Hadean Eon, and is likely home to just about 400 different mineral species. NASA’s Curiosity rover could soon prove whether or not that is true, Hazen added.